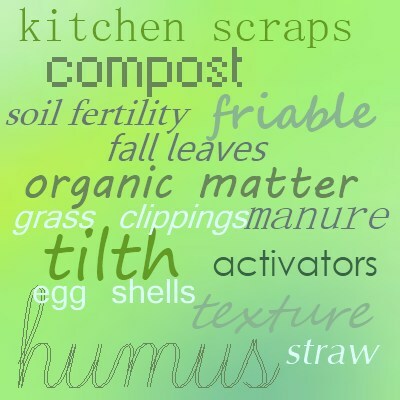 Making organic gardening compost is the most fun you can legally have in your garden. Seeing the transmutation of what is essentially garbage from your kitchen, and trash from gardens and roadsides into the most valuable natural fertilizer known to man is a miracle. Until you’ve seen it with your own eyes, you won’t know what the fuss is all about. 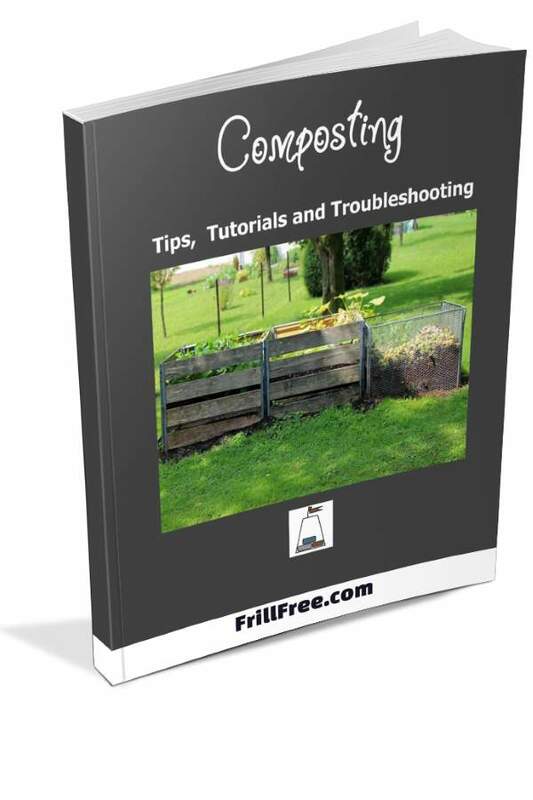 Warning: The Frill Free website is not responsible for divorces, hungry children or lawsuits arising from your addiction to making organic compost. If your spouse leaves you because of your incessant chattering about home composting methods, and your children have to eat peanut butter sandwiches, and the police arrest you for ‘liberating’ some bags of raked leaves from the neighbors front yard, don’t say I didn’t warn you. This highly obsessive activity can lead you into all kinds of trouble – wisdom and discretion are key to your success. Okay, now I’ve got that part out of the way, let’s have some fun. First of all, if you had coffee or tea with breakfast, you can start with that - coffee grounds are a particular favorite with worms, possibly because they're already finely chopped. Tea leaves are the same; the coffee filter or tea bag is bio-degradable too. If your compost pile is too dry, use the leftover tea or coffee to wet it down. Find some old newspapers (the sports section works especially well, I find) and tear those into strips – a good garbage bag full will be a good start. Raked leaves, including some of last years grass clippings, sawdust (in moderation), potato peelings, apple cores, lettuce from yesterdays salad, anything that was once alive is fair game. I put the fuzz bunnies from under the couch, paper towels used to dry my apple, banana peels, and even yogurt if it doesn’t look too great. Things to avoid: meat, bones, dog or cat feces, too much dairy products, or whole grains which can sprout. Compost is alchemy - making black gold out of nothing more than just kitchen scraps, a bit of manure, and chopped leaves, straw and hay, mixed, aged and left to mature; it can be simple, or complicated - you choose. I also avoid weeds that have gone to seed, unless the compost pile will get really hot, in which case, they can be buried deep inside it. Sprinkle a couple of shovels full of your garden soil on the different layers, to add those crucial microorganisms to your organic compost. In subsequent batches, use a shovel full of the ripened compost. You can use a garbage can to layer all your ingredients in, which makes a nice small amount that’s easy to deal with. Or, if you are really ambitious and have a lot of leaves, grass clippings or horse manure to compost, make a cylinder out of fencing, stand it up on end, and fill that. Optional; line it with cardboard or plastic for a neater appearance. Each layer should be gently packed down, and if you garden in a dry climate, make a slight depression in the center of the top, so moisture will go to the center of it. In wet climates, make it more like a roof, mounded in the center. You may want to also cover the pile with a piece of plastic. This can perform several different functions: it can act as a condensation capture system, as moisture is evaporated out of the pile, it will condense on the bottom of the plastic and fall back into the pile, keeping it all moist. Or, it can act as a roof, preventing the compost pile from getting too wet in very rainy times. It can also prevent dogs and cats from getting into the pile. So, now you have a start on your organic gardening compost – once you get one or two batches under your belt, it will go quicker, and you’ll never run out of the precious black gold. 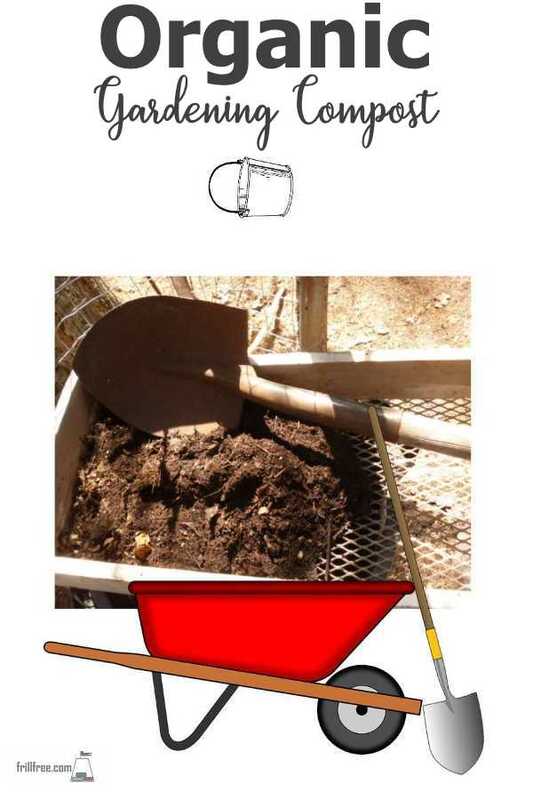 This is the quick way to get your compost back on track!